I just finished watching Minimalism: A Documentary About the Important Things. In this film, Joshua Fields Millburn and Ryan Nicodemus tell the story of how they simplified their lives and how that process affected them. Sharing the film around the country brings their message to a great number of people who want to reduce their footprint and live more simply. Living with a Traumatic Illness causes widespread changes: working, relationships, family dynamics, home upkeep, and how we eat. The longer an illness persists, the more extensive the effects will be. What if simplifying our lives could help us manage our illness? Have Less: Learning to live with less requires some careful decision-making. It is not an easy process to review your belongings, your life-style, and your everyday needs. But, what if you could streamline the way you live, and therefore make it easier to manage your illness? Consume Less: How many jackets do you need? How often do you go out to dinner? How often do you replace your home décor? Buy a new car? How often do you get a manicure? What things do you have in your life that you could reduce or eliminate? Clean Less: It goes without saying that the more belongings you have, the more you have to clean. What if your bookcase were easier to dust? Perhaps your kitchen counters could be less cluttered and easier to wipe down? 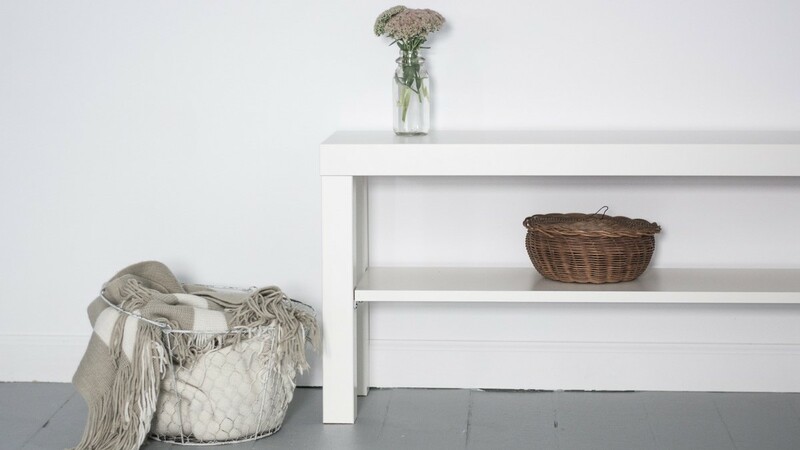 What if you simply had less clutter – everywhere – so that everything was easier to put away? Work Less: Working alongside an illness is never easy. Choosing how you spend your energy forces you to decide between earning a living for you and your family, and taking care of yourself. What if you could work less, and live with less? Would that help you in manage your condition, and take care of your health? None of these decisions are easy, but think about how we live, and how the concept of Minimalism inspires us. If we have less, consume less, clean less, and work less, then surely our health will improve. Belongings require energy, and that is something that is in short supply in times of illness. The last thing you need is to be dealing with possessions when you need to be using your energy to be as healthy as you can! I definitely see a connection between lowering stress by removing more “stuff”. What ever that “stuff” might be, physical, personal, mental…. Save your energy for when it really counts!